I am excited to announce that I would be sharing stories from my grandmother in a series of blog posts over the course for the next few months. 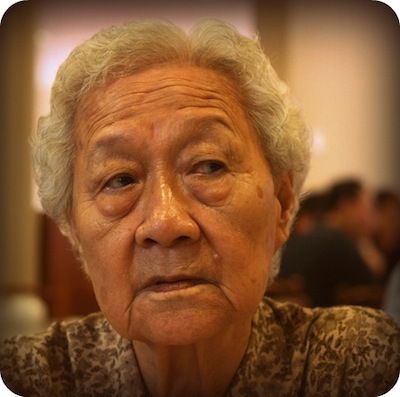 My grandmother, whom my family members fondly call her “Ah Ma” in the Fujian dialect, is a second-generation Singaporean who has survived through wars and numerous unrest in a growing nation. Hence, the stories would cover interesting slices of Ah Ma’s 80 years of life, ranging from her early years to her marriage and beyond, at times interwoven with significant historical events. What inspired me for this project was the passing away of a distant relative late last year, a relative I never knew existed until she has left this world. This relative was Ah Ma’s half sister-in-law or in another words, my adopted paternal aunt. Through this incident did I realize that my knowledge about Ah Ma and her experiences are rather limited even having lived with her for more than two decade. But the series of stories is not only about my grandma but is also a narrative about Singapore’s history for numerous significant events during the development years of the country intertwined closely with changes in Ah Ma’s lifetime. Personally, this project has so far given me a great opportunity to sit down and listen to my grandma whilst helping to keep a record of my family’s history, making it really interesting and enriching for myself. Debut entry would be up early next week, which would be about my grandma’s early years that is not pretty and really a lot of hard work, so do stay tuned! Thks for this dose of recent history! I find them so interesting! My late grandfather used to share these stories with me n they only serve to remind us how resilient our ancestors were. interesting…looking forward to more episodes of Ah-ma stories! Looking forward to your Ah Ma’s story. Sometimes, listening( or reading ) of elderly’s history is a good thing. Through their histories, we will learn how to grow. Waiting to learn via ur Ah Ma !